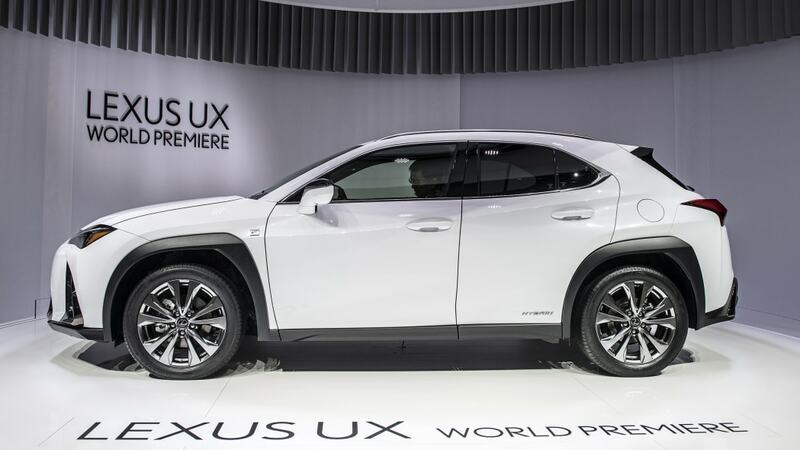 Compact luxury crossover drops at an opportune moment for Lexus. 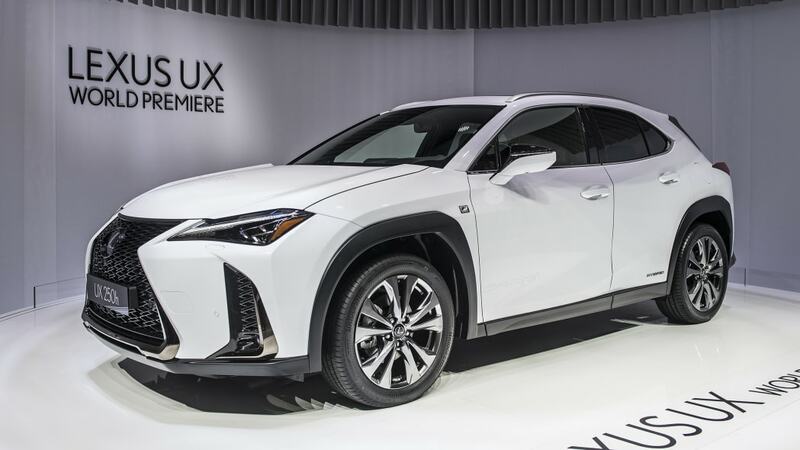 Lexus is perhaps overdue to produce a small luxury crossover, in the vein of the hot-selling Buick Encore (which is a tiny bit smaller). And like the Buick Encore, it has a lower-tier brand counterpart: the Toyota C-HR, which is to the UX as the Chevy Trax is to the Encore. But enough about the Buick. 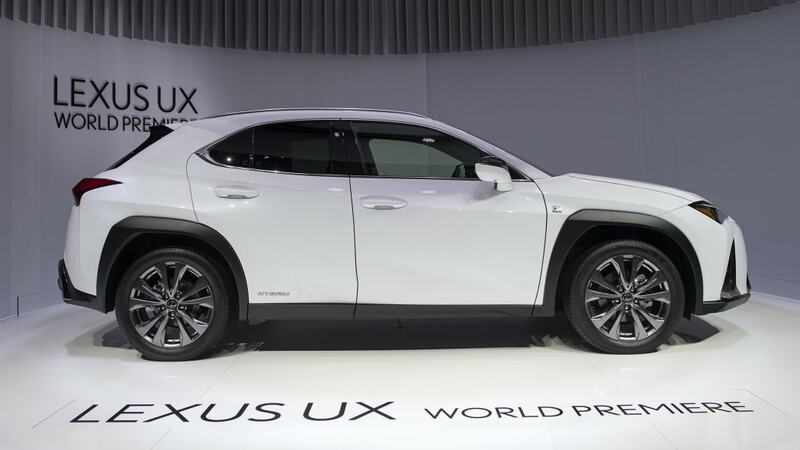 What's the 2019 Lexus UX all about? 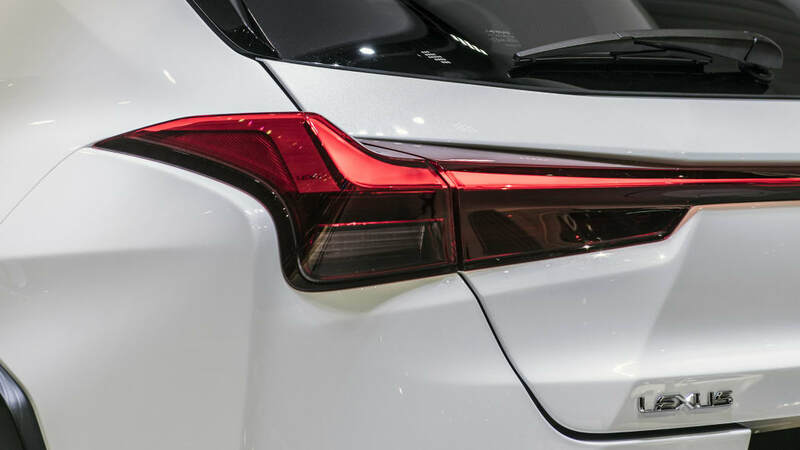 For one, it is almost as outré as the C-HR, which is perhaps more radical because it's a lowly Toyota. 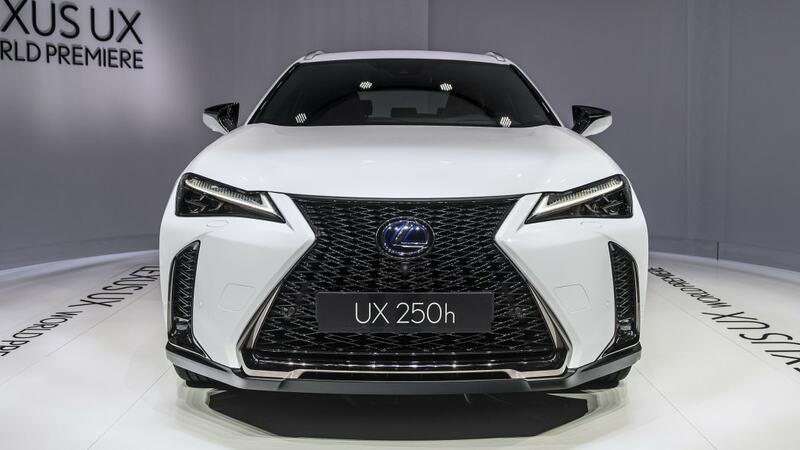 Graced with a spindle grille and interior fixings that are influenced by, Lexus says, traditional Japanese crafts, it appears to be every contemporary Lexus trope combined into one compact vehicle — just 177 inches long in total, or about 5 inches shorter than a contemporary Corolla. That'll be good for the urbanites the UX is intended to woo, who need to park in tight spots. For wider, more open spaces, there are two powertrain choices. 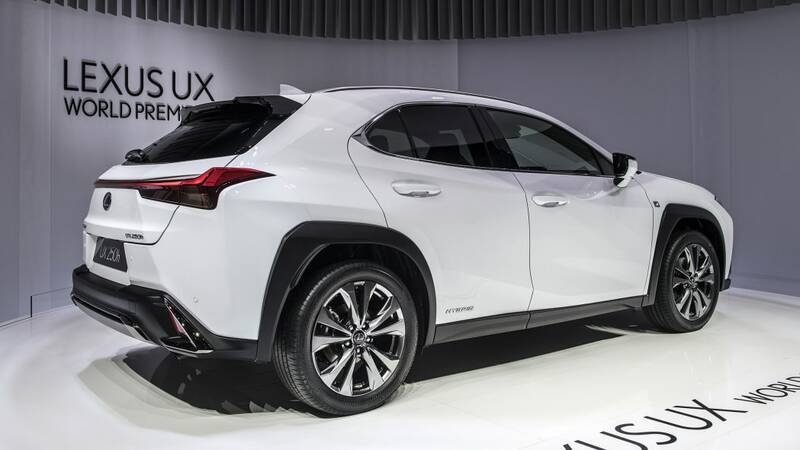 The 2019 Lexus UX 200 is one of the first applications of the new Dynamic Force Engine, a 2.0-liter inline-four with extreme thermal efficiency: 40 percent, Toyota claims. Read more about that engine (and the Direct Shift CVT, which the UX 200 also utilizes). 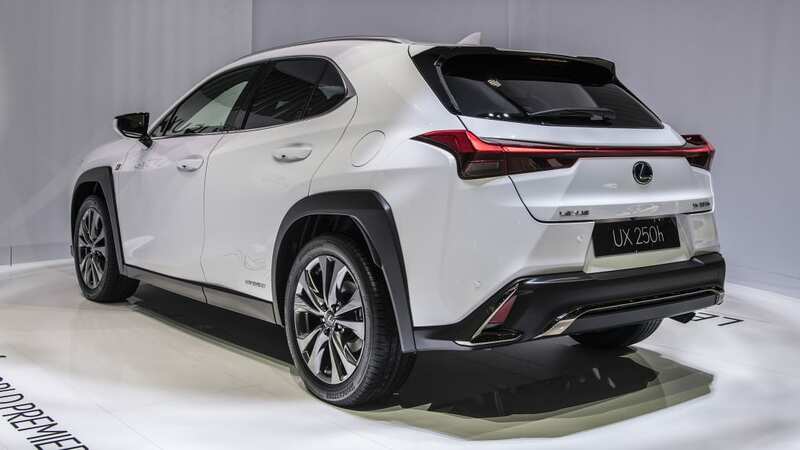 The bottom line is, for the driver, the engines will be more fuel efficient and produce 168 horsepower, which represents an increase of 24 horsepower over the C-HR platform-mate, a sizable jump. The Direct Shift CVT should prove to be a more important improvement, offering more natural response when starting off from a stop. Anyone with CVT experience knows that this isn't a strong suit of that transmission type, even with years of attention paid to refining the experience. 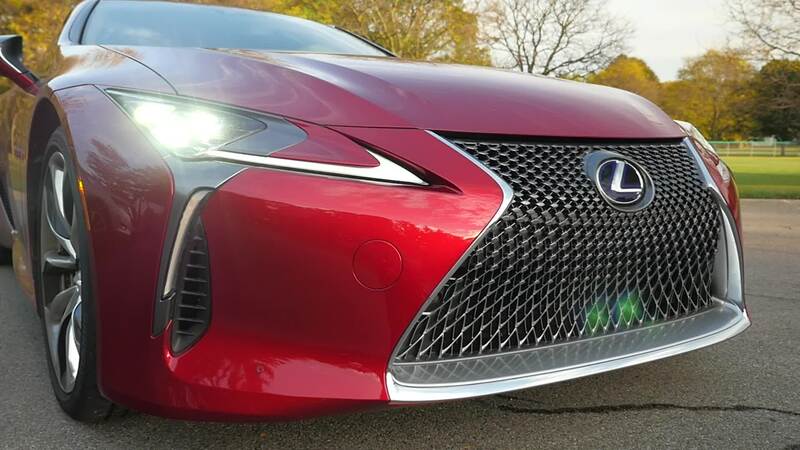 It's nice to see the sort of clever, driver-focused engineering that created the bizarre Lexus LC "10-speed" found in the LC 500h, which uses an e-CVT and a conventional automatic. It sounds strange and complex, but it works beautifully. We expect Direct Shift CVTs to be a serious improvement over the company's e-CVTs, and can't wait to test this aspect of the UX 200. The UX 250h snags the Dynamic Force engine and slaps a new hybrid system into it. 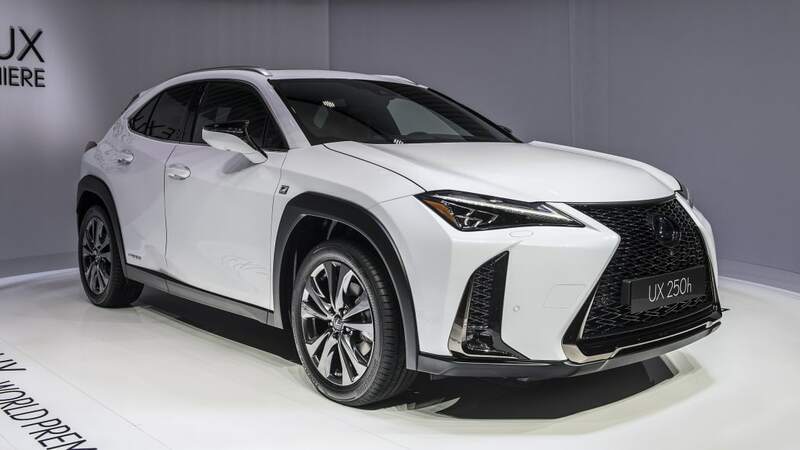 Lexus expects the total output to be about 176 horsepower, which takes into account a rear axle electric motor (which makes the UX 250h all-wheel drive). 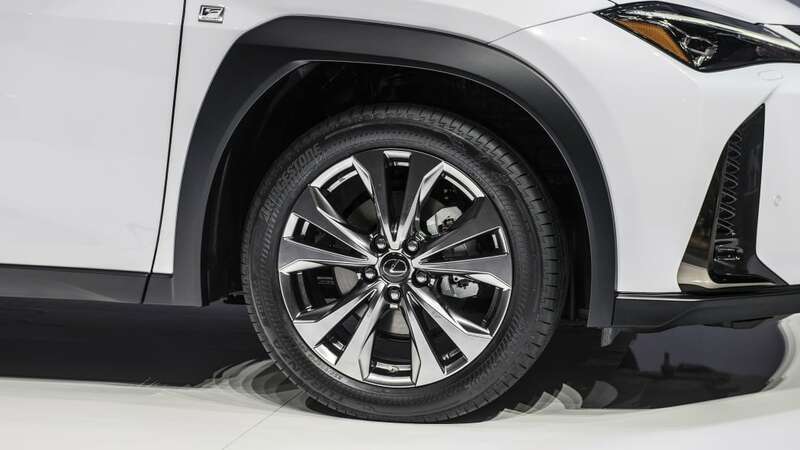 That rear motor can accept up to 80 percent of available power at up to 43 miles per hour. 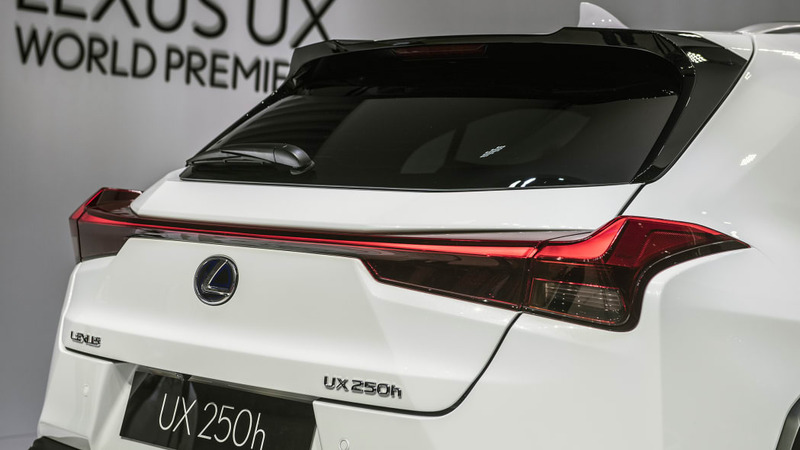 It's not clear from the specs provided if the gasoline engine output differs from the UX 200. 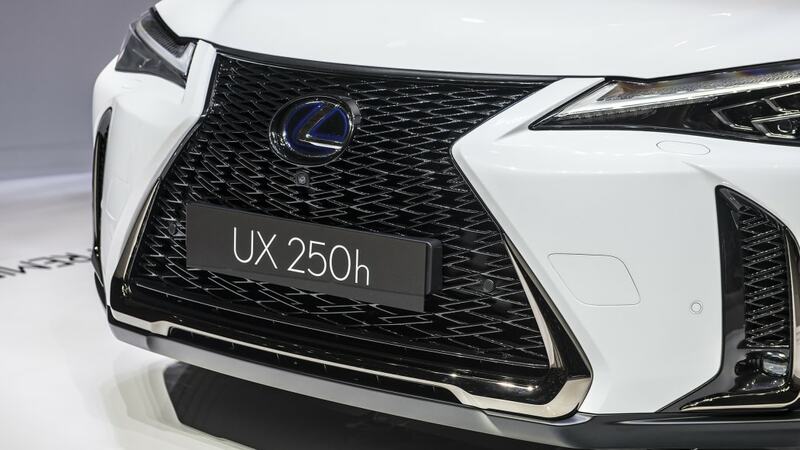 The UX range will also include a range of active safety features, such as a Pre-Collision System that utilizes radar to detect pedestrians and bicyclists. 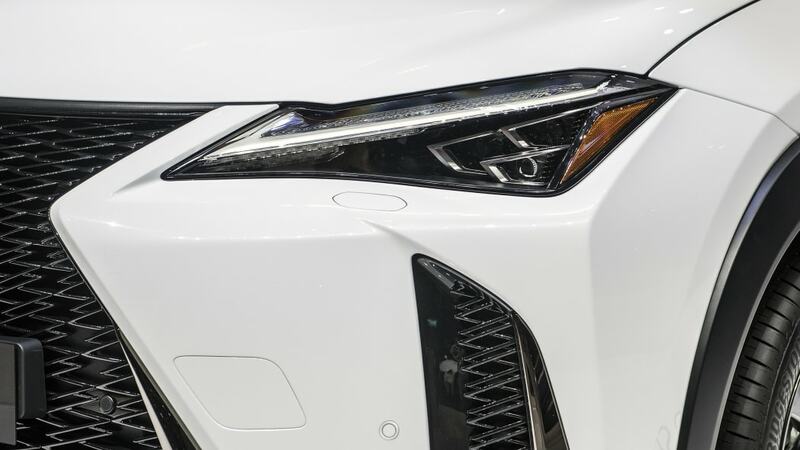 It also offers the intriguing Predictive Efficient drive system in the hybrid, which uses learning algorithms and locational data to boost regenerative braking functionality in places where a driver is known to have stopped frequently. It's unclear, in numerical terms, how much this system can increase efficiency or regeneration, and it probably depends on the individual circumstances of the user. 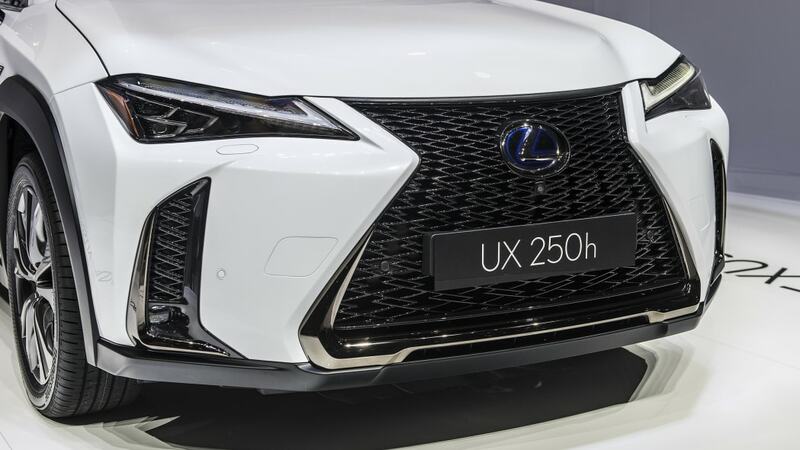 Finally, there's an F Sport version available in both UX 200 and 250h. It includes retuned suspension (or optional Adaptive Variable Suspension), a unique rear bumper design, 18-inch alloy wheels, and some jet black moldings. Inside you get sport front seats, an F Sport steering wheel, and aluminum pedals. Interestingly, if you want your F Sport-equipped UX to sound like it has a conventional automatic, you can use Active Sound Control to simulate the sound of up- and downshifts. We'll have to experience that particular feature to assess if it's worth a hill of beans. 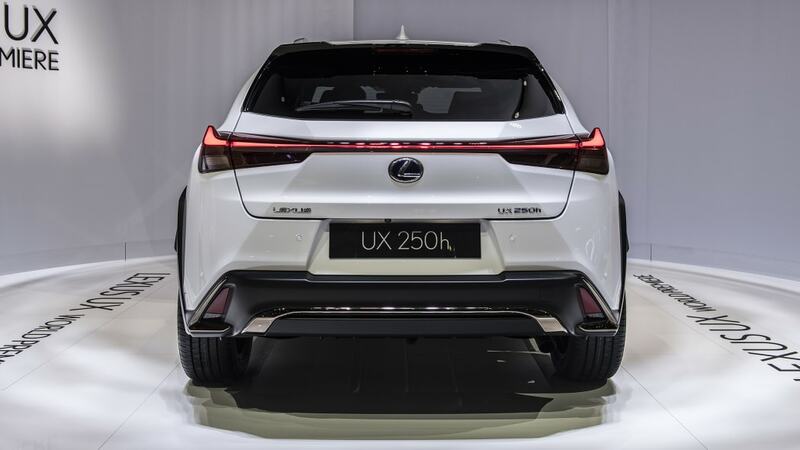 Both hybrid and conventional UXs go on sale in the fall in the United States, but pricing hasn't been announced yet.